No visit to Dubai is complete without taking in The Dubai Mall. Simply spectacular this vast complex is so much more than just a shopping mall. The largest in the world, it not only houses 1200 top end retailers, restaurants, cinemas but an ice rink, an aquarium, an interactive kid sized city and even a performing fountain. In 2011 it was the most visited building on the planet attracting 54 million visitors and its easy to see why. Right in the heart of the mall is the Fashion Avenue, a centrepiece showcase area surrounded by 80 of the most exclusive shopping stores. 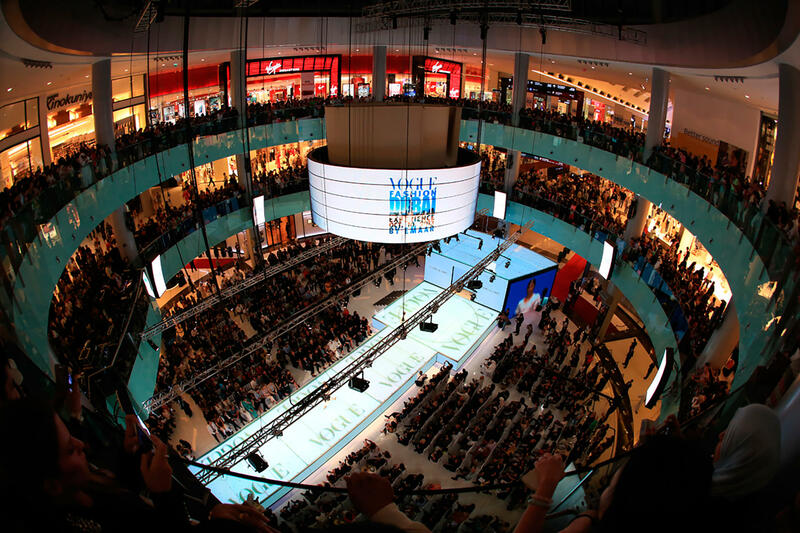 It is here that some of the world’s most highly anticipated fashion shows and product launches take place. 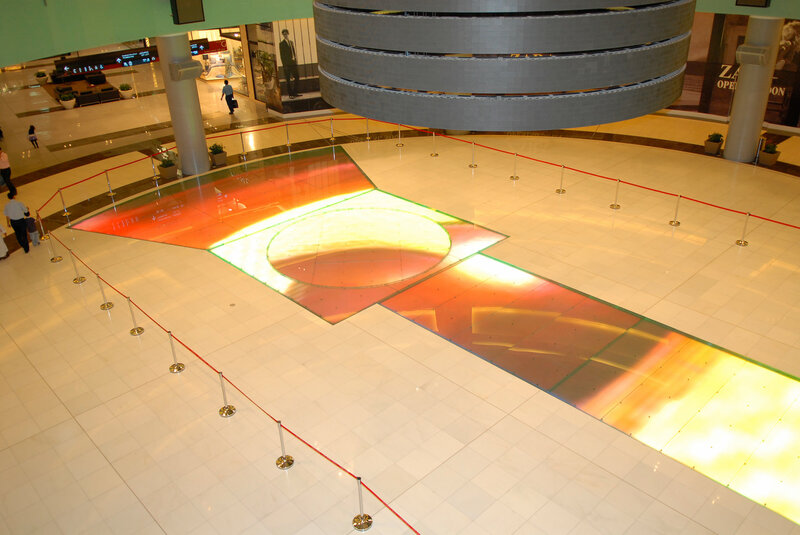 Creating a shopping mall catwalk of the scale needed required expertise, precise precisioning and reliability. Architects DP Architects Pte Ltd on behalf of the developer Emaar Properties approached SERAPID to realise their vision, confident in SERAPID’s ability to deliver a safe, robust and space-saving system. The end result, a stunning show-stopping illuminated catwalk that can reach differing heights and rotate for full effect. To achieve this SERAPID installed five tailor made lift systems to create bespoke platforms that could deliver a configurable catwalk. Each of the platforms are raised using SERAPID’s unique LinkLift elevator columns, with four of the platforms rising 1 metre including one that rotates. The fifth platform reaches 3.8m metres in height and can be used as a changing area for models, before opening up directly onto the catwalk. 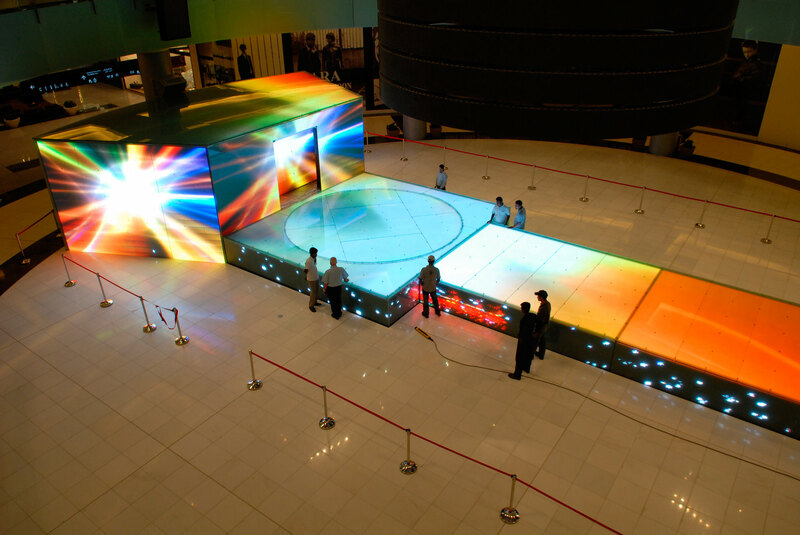 Fitted with LED screens and glass panels, they are capable of supporting a tonne, and can be lowered, with minimal sound, flush to ground level when not required.The custom designed platforms deliver a flexible transformation of the space making it modern, adaptable and innovative, just like the mall itself. Architect: DP Architects Pte Ltd.